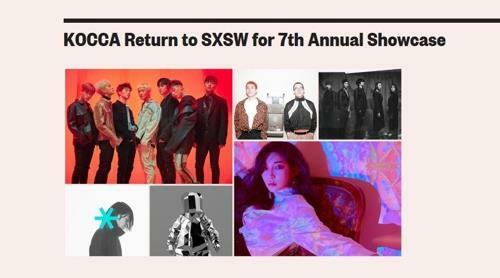 K-pop stars including boy band iKon and solo artist Chungha, will perform for a K-pop showcase during the U.S. annual music festival South by Southwest (SXSW), the American event’s website showed Thursday. SXSW is a conglomerate of film, interactive media and music festivals and conferences held every year in mid-March in Austin, Texas. Including the Korean musicians, 200 acts from 30 countries will perform for the event’s music festival.